We find that human-induced climate change likely increased the chances of the observed precipitation accumulations during Hurricane Harvey in the most affected areas of Houston by a factor of at least 3.5. Further, precipitation accumulations in these areas were likely increased by at least 18.8% (best estimate of 37.7%). 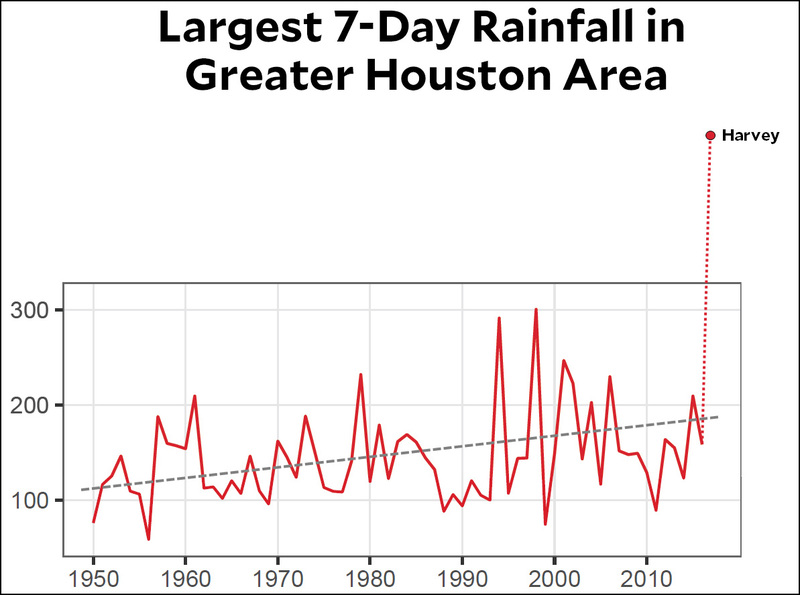 Climate change more than tripled the odds of a huge Harvey-like story hitting Houston, and increased the rainfall by about 38 percent. 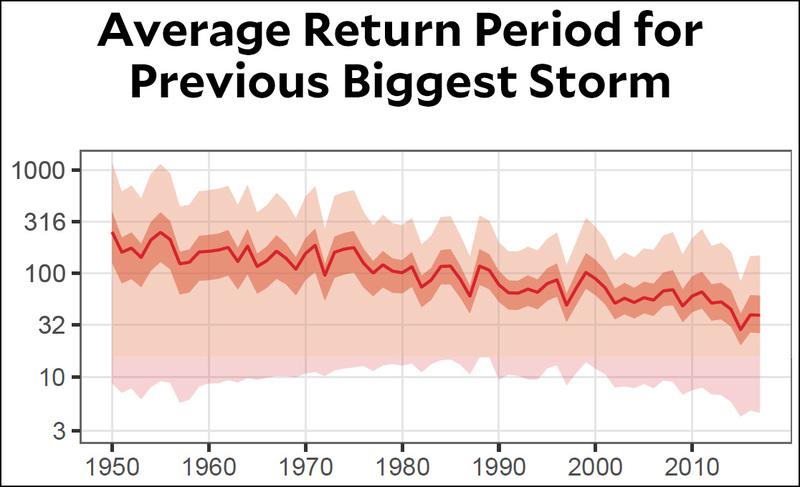 So can you say that climate change “caused” Harvey? Not quite. But you can say that it probably made it a lot more likely and a lot more damaging.